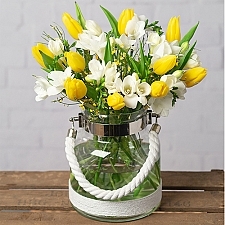 Among the UK's favourite cut flowers, freesias are well loved for their delicate beauty, long vase life and sweet, citrus scent. 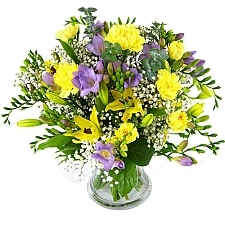 Freesias are said to convey a variety of meanings, including friendship, innocence and thoughtfulness and these colourful flowers are guaranteed to bring a fantastic floral perfume to any room. 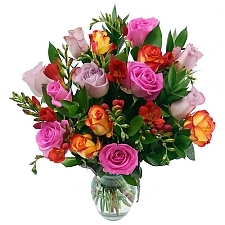 Our expert florists here at Express Gift Service select only the highest-quality blooms to ensure your gorgeous gift stays fresh for as long as possible. 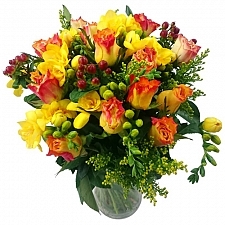 Our Fragrant Freesias bouquet comprises 20 long-stemmed, sweet-smelling Dutch freesias in assorted colours, surrounded by gorgeous greenery. 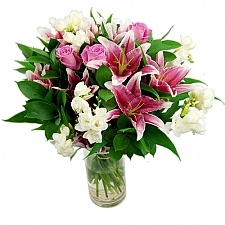 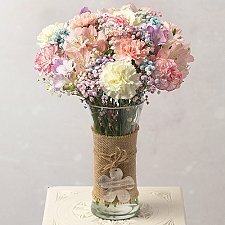 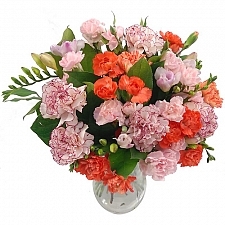 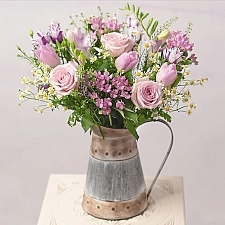 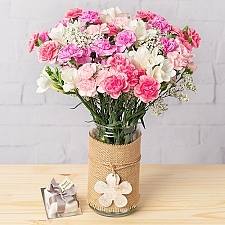 Sent in bud, your recipient can enjoy the delicate blooms releasing their sweet fragrance as the flowers gradually open. 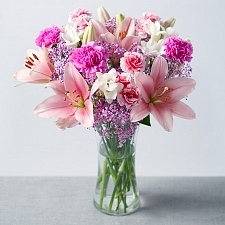 Why not send an additional gift alongside your beautiful bouquet? 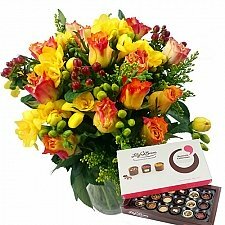 Choose online from delectable chocolates, cakes, balloons, teddy bears, fruit baskets, gift hampers and more. 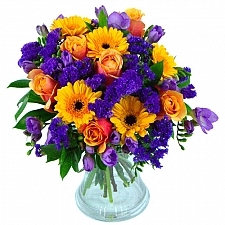 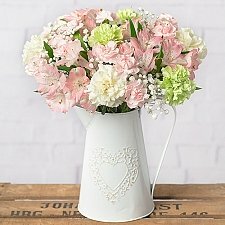 Our exceptional first-class flower delivery service by post guarantees top-quality flowers for next-day delivery all over the UK and internationally to the USA, Canada, Europe, Pakistan and the UAE.